Sleek smooth curves and gleaming finishes in heavy gauge fire-safe steel or non-magnetic stainless steel. Large 30 gallon capacity with an open top design for “hands free” drop in convenience in high traffic areas. 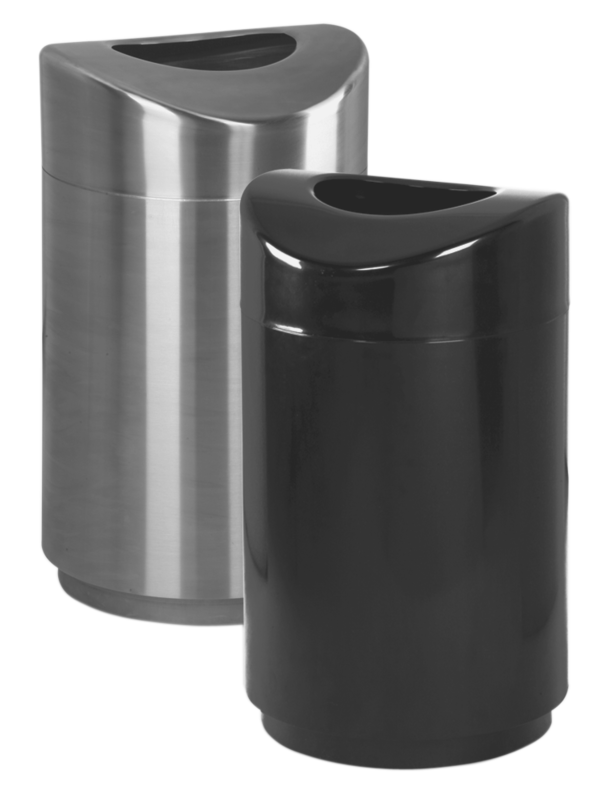 Curve top deters accumulation of debris around 9.5″ x 11/5″ disposal opening. Top lifts off for easy emptying of leakproof rigid plastic liner. Recessed base ring allows for ease in cleaning under unit. Standard models are available with durable Black Uni-Koat powder coated finish or satin stainless steel. Can customize with decals or transfers.